A few years ago Florencia Kingscote went home to her native land, the Philippines. 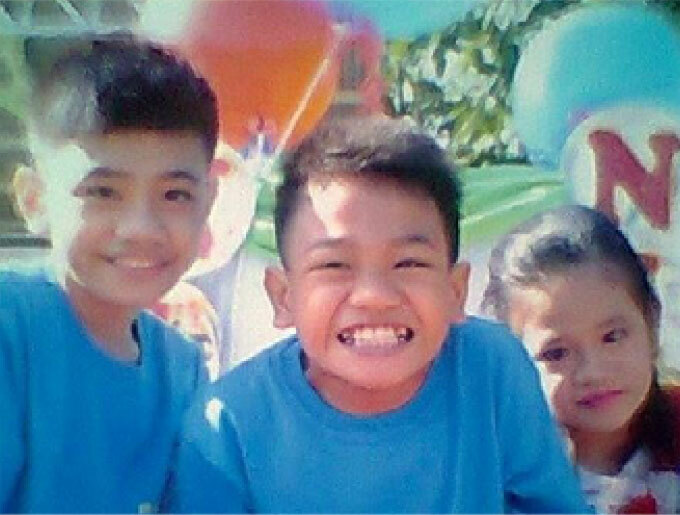 In her hometown Bambang, Nueva Vizcaya, Florencia witnessed the suffering of so many handicapped children whose impoverished parents were unable to provide for their vary basic needs. 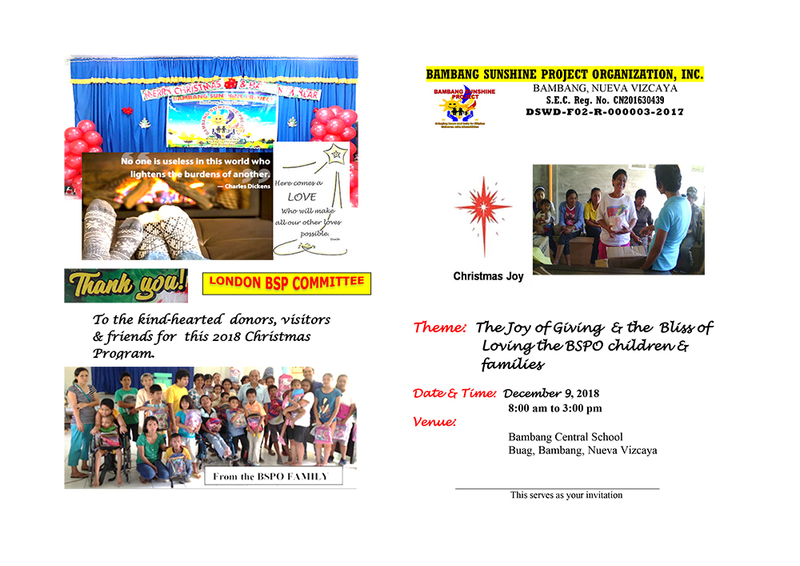 The untold suffering of these children moved Florencia so much that she set up the Philippine Disabled Children Project. 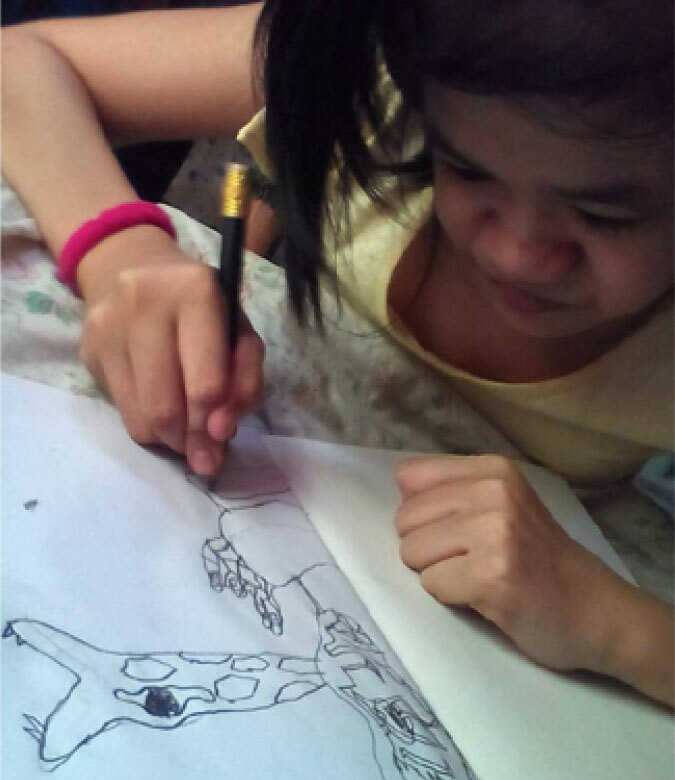 In doing so, she hoped to make people aware of the terrible plight of anyone with disabilities in the Philippines. In the United Kingdom, the handicapped are recognised. They like other human beings, can exercise their basic human rights, they are cared for, they have a voice. In the Philippines, people who are mentally or physically handicapped are doomed. The stigma attached to the family with a disabled child is so great that such a child is hidden away, not to be seen or heard for fear of being ridiculed. To the community these children do not exist. This is a sad fact, but it is a reality that needs to be addressed not ignored. The handicapped children in Bambang are left to their own devices whilst their carers are out to toil in the fields or begging to provide for their families. There is no help coming from anyone at all, these unfortunate children never get the chance to have any form of mental or physical stimulation. They are prisoners in their homes, not knowing that there is another world outside their dark, squalid rooms. Florencia's heart went out to the carers when she saw their difficulties, hopelessness and frustration of not being able to provide for their unfortunate children. Bambang is situated in the Province of Nueva Vizcaya which is in the heart of the mountainous Northern Luzon and is often referred to as "the gateway to Cagayan Valley" as it is located at the southernmost part of the Region. In 1609, Father Thomas Gutierrez, a Dominican missionary from Pangasinan, arrived to establish the first missionary settlement (subsequently called YTUY) which today actually comprises the towns of ARITAO, DUPAX, BAMBANG and parts of KAYAPA. Although the seat of the vast missionary settlement of YTUY was Aritao, which was established as early as 1609, it was not until 1747 that the first missionaries, Father Urmanza and Father Franco, arrived in Bambang. In 1751, Father Urmanza was transferred, leaving Father Franco alone attending to the spiritual needs of the new 16 converted natives. He then converged them in one site, what is now known as PUNAWA. There, the people settled once again at Tabangan Hill. In 1777, the people transferred to a place within the vicinity of a pit ("bang-bang") were the warring Ilongots and Igorots buried their weapons to symbolize the end of their tribal feuds. Subsequently, the name Bambang is derived from the term "Bang-Bang". The West discovery of the Philippines in 1512 facilitated the growth of Christianity and emergence of new culture. However, Spanish colonization did not actually begin until 1565 when voyager Miguel Lopez de Legaspi established a Spanish base in the town of Manila, the Philippines' Capital. In 1898, the Philippines won independence after 327 years under the Spanish rule, but found themselves controlled by the Americans from 1900-1942 and then the Japanese form 1942-1945. The Americans brought over their educational and legal systems and introduced their style of government. With the end of the Japanese occupation in 1946, the Philippines regained democracy as a Republic. True democracy was fully achieved by the Filipinos after the 'People Power Revolution' in 1986 which led to the downfall of the reigning dictatorship. Still one of the strongest democracies in Asia, the current president is Gloria Macapagal Arroyo. The Philippines is the world's third English-speaking country, after the United Kingdom and the USA. While there are over 100 regional dialects, the national language is Filipino, English is widely used in commercial and legal transactions. 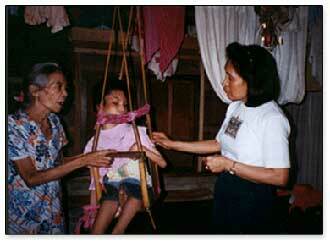 The dominant religion in the Philippines is Catholicism, though a significant number are Protestants and Moslems. 153 Bartholomew Close, East Hill, London SW18 1JG.